It’s time for my annual reading wrap-up, although a little delayed. In 2017 I read 81 books, 5 more than last year, most of them mysteries and non-fiction though I did branch out to some horror/ghost stories and general fiction. 2017 was the year I discovered Marla Cooper’s Kelsey McKenna Destination Wedding Mysteries as well as Emily James Maple Syrup Mysteries and continued my love affair with Alyssa Maxwell’s Gilded Newport Mystery series. 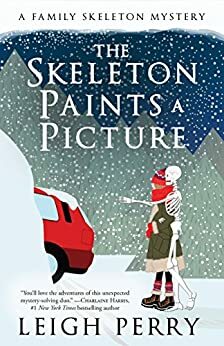 My two favorites in the traditional/cozy mystery category are The Elusive Elixir by Gigi Pandian and The Skeleton Paints a Picture by Leigh Perry. 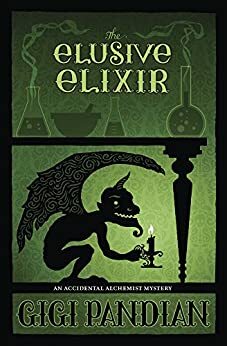 They’re both great books (and series) with good characters, but what makes me love them the most are Dory, the living gargoyle in Gigi Pandian’s series, and Sid, the living skeleton, in Leigh Perry’s series. They have such wonderful personalities that I want Dory to come to my house and cook vegan food for me (yes, a gargoyle that’s a vegan chef!) and I want Sid to come over and watch movies with me. I love Sid so much that I named a skeleton in the book I’m currently finishing up after him. I read a lot of interesting non-fiction this past year including The One-Cent Magenta by James Barron (who knew a stamp could be so fascinating? ), One Summer: America, 1927 by Bill Bryson and The Lost City of Z by David Grann (more interesting than the movie). I even read some general fiction, something I rarely do. 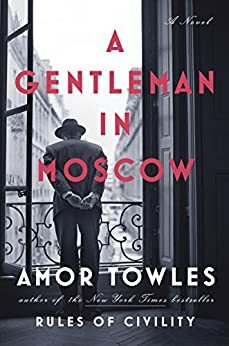 A Gentleman in Moscow by Amor Towles is my favorite in this category. I was surprised at how much I enjoyed it. I can see it as a film, one I’d watch repeatedly. That’s my book wrap-up for the year. As usual, I have stacks of books around the house and a slew of them on my Kindle, waiting to be read, but I'm always looking for suggestions. Labels: "A Gentleman in Moscow", "Elusive Elixir", "Emily James", "Gigi Pandian", "Leigh Perry", "Marla Cooper", "The Lost City of Z", "The Skeleton Paints a Picture"
Thanks for your suggestions, Sybil. And good luck with the audios – I am an audio book fan and look forward to checking your new two out. This last twelve months I have been reading a lot of crime fiction translations. The most recent foreign crime books I enjoyed were The Master Key by Masako Togawa (Japanese) and The Man Who Died by Antti Tuomainen (Finish) and finally A Crack in the Wall by Claudia Pineiro (Argentinian). They are all totally different but totally engaging and I'm looking forward to reading more books by these authors – just as soon as I've read all the other books on my groaning bedside table! Thanks for the suggestions, Marianne. I'll check them out. I admit that I rarely think of looking at translations. Don't know why. I'm quite excited about the audio versions. 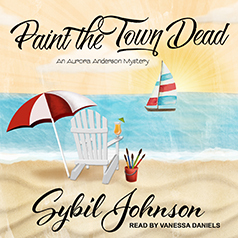 I like to listen to books while I'm working on painting projects and I think others do too. Won't get a chance to listen to them until after I finish the current book though! 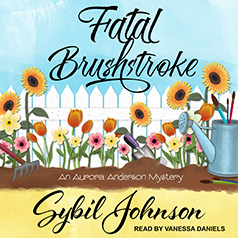 Sybil, you are so right, I listen to audio books while doing painting/DIY stuff – which I seem to do a lot – and also on long drives! We always listen to audio books when we travel. I'll pick yours up for our next trip. Are they unabridged? Thanks, Rick! Yes, they're unabridged.